This CD has been in my collection for years. But, right after my review with Fates Warning "FWX" couple days ago, I was tempted to have this CD for some spins. At the same time, actually I was also putting Frameshift in my CD player. So these two albums were on competition for my CD player. I have to be honest that Shadow Gallery "Tyranny" won the competition as I put more spins and more like it compared to Frameshift. It's probably that "Tyranny" has much more power and it's more technical too. This album was released six years after their weak (especially on drumming and composition) debut album. But with this third album Shadow Gallery has proven their capability in creating excellent progressive metal composition with flawless delivery. The album contains two parts (Act I and II) with each part comprising 7 tracks - so in total there are 14 tracks. Act I opens with an energy driving music performed in fast tempo with no vocal line: "Stiletto In The Sand". This track projects a war nuance with all instruments played in high technical skills. Fast speed neo-classical guitar combined with keyboard and upbeat drumming. It flows seamlessly with a keyboard sound at the end of the track to next track " War For Sale". This second track seems like a power metal outfit in the vein of Germany's Helloween, Gamma Ray, Blind Guardian, etc. The voice of the band lead singer, Mike Baker, is a blend of Geoff Tate (Queensryche) and Michael Kiske (Helloween). The keyboard at background provides symphonic nuances for this track. So, where is the prog element? Well, I think during transitions and interlude there are complex music with some tempo changes. Not a lot but it's nice. This is an excellent track with good melody. "Out Of Nowhere" continues in moderate tempo, slower than previous one. The opening part has some simple guitar riffs. Harmony vocals are excellent. Interlude part with lead guitar is excellent. This track is accessible to vast majority of rock music buffs. 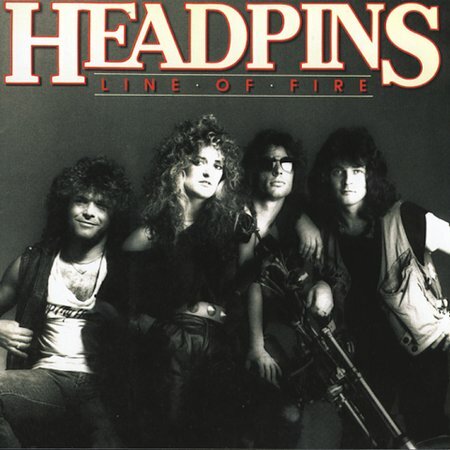 On vocal line, if you are familiar with Helloween, there are parts that show similar voice. The inclusion of flute in this track has created a unique musical taste. It flows almost seamlessly with fourth track "Mystery" with a faster tempo than previous. Again, the harmony vocals and melody line of this track are excellent. The prog elements are demonstrated through interlude part before the music returns to original tagline melody. Having been in relatively fast tempo music with first four tracks, track 5 "Hope For Us ?" brings us to a ballad slow rock style of music. Piano touch and acoustic guitar work show the influence of classical music. "Victims" opens with a classical piano backed with keyboard sound. The music turns into higher register with excellent harmony vocals. "Broken" concludes Act I with piano and operatic vocal in mellow style - backed with keyboard. Act II kicks off with "I Believe" with choir intro in excellent symphonic music background, influenced with classical music. Harmony vocals and melody are great in this track. James LaBrie of Dream Theater appears in this vocal line. "Roads Of Thunder" brings the music back to a high energy and power with excellent marriage of keyboard and guitar sounds. The music turns into slower tempo marked with stunning guitar solo. I think, the band is master in creating melodic song like this one. "Spoken Words" is almost a classical music with its piano touch and violin work. This is a very catchy track with vocals line performed in duet with Laura Jaeger. No drumming. "New World Order" opens with powerful voice of DC Cooper of Royal Hunt performed with an ambient style. He sings like an opera act backed with keyboard and excellent choir. This track is really powerful performed in moderate / slow tempo. It has a strong melody and tight structure with smooth musical passages between transitions. The ending part with violin, keyboard and guitar works in neo- classical is really superb! Drum work is getting more dynamic throughout the ending part. Overall, the ending has created a climax that creates ultimate satisfaction. It's an enjoyable track and accessible to many listeners. "Chased" blasts off with speed and power music. Keyboard and guitar dominate this instrumental track. Some keyboard work reminds me to Keith Emerson. (It also happens in some other tracks). It flows to ""Ghost Of A Chance" with acoustic guitar and piano to accompany vocal line. Performed in moderate / slow tempo. The album concludes with a mellow and melodic track "Christmas Day" performed beautifully with excellent piano and flute works that create classical nuance. Halfway through the full music (with drumming and bass line) enter the music featuring excellent guitar solo. It then returns bak to original tagline melofy. Beautifully composed! Overall, it's an excellent progressive metal album with appropriate balance between fast and medium tempo tracks; well positioned to form an excellent musical flow, album- wise. My overall rating is 4.25 out of 5. Keep on progging! - GW, Indonesia. This is as well a masterpiece as their latest effort, Room V. Tyranny is often compared to Queensryche's Operation: Mindcrime, but I don't think that this is appropriate. Shadow Gallery is more prog, whereas Queensryche is more mainstream rock/metal. Let me clarify that I love Mindcrime as well and consider it to be a masterpiece, too. But it is more accessible than Tyranny, which takes some more time to grow on you. they vary a little bit from song to song, but not as much as for example Dream Theater did on Images And Words or Awake. But Tyranny is about killer melodies (the ballads, Spoken Words), stunning guitar/keyboard acrobatics (Stiletto in the Sand), and interesting and credible lyrics (New World Order). 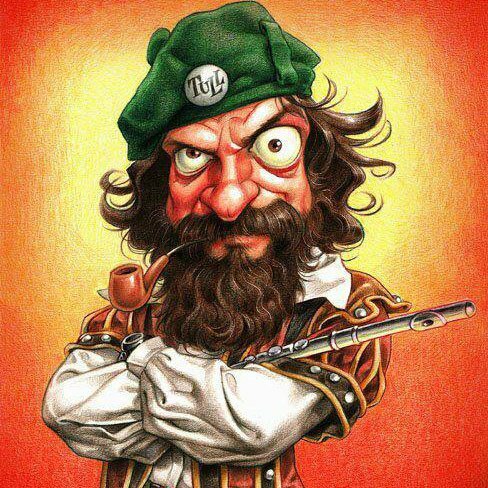 The musicians easily match the qualities of Romeo, Petrucci, Rudess and the likes. The singer is also very nice, although when you first hear the vocals you find the voice a little too unspectacular ... but it grows on you just like the whole package! You are in the presence of a REAL masterpiece of prog metal here: this album is DEFINITELY among my all-time top 10 prog metal albums! "Tyranny" is a sentimental progressive metal album, as reveal the many emotional piano-modern floating keyboards combinations a la Dream Theater and Eternity X, enhanced by TONS of EXTREMELY PLEASANT & CATCHY lead & backing vocals, reminding Greg Lake and James LaBrie (Dream Theater). This record has very emotional/romantic bits so that many women should like it. I loved it at the first listen! There is a very good balance between the metal bits and the sentimental ones: that's why Shadow Gallery's "Tyranny" is not just a monolithic prog metal album: the tracks have a strong character, although being very accessible, and I think the music here is more based on feelings and emotions than on technical performance. The tracks are VERY catchy, accessible and not extremely complex, although many bits are technically impressive, like on "War for sale". Most of the tracks have very poignant and beautiful moments, like on the outstanding "Ghost of a chance". All the tracks are at least VERY good. Regarding the metal bits, the rhythmic electric guitar is very good and the solos are quite melodic: the guitar riffs do not take all the room, and they are quite integrated with the overall music. The musicians do not relax at all on "Stiletto in the sand", showing by speed and synchronization their technical capabilities. Any prog metal fan MUST know this record! I got "Tyranny" because I am a huge Dream Theater fan and thought that similar prog metal acts would really appeal to me. I got Shadow Gallery's "Tyranny" album and it was very disapointing. I have nothing against the technical side of the musicians as they all have great skill but they just can't write decent songs in my opinion. This album is filled with excessive amounts of keyboard solos, shredding solos and cliche vocals and lyrics that Dream Theater have already done and mastered to become one of the best prog metal bands of all time. When i listen to Shadow Gallery all i hear is a stereotypical DT clone. This may seem harsh of me but I still gave the album a chance. I found the concept of this album to be absolute pants, some of the song titles and lyrics are just embaressing. I found a great lack of emotion in this album and listening all the way through was painful and boring. Okay, I have to admit this is good. Get this straight, I am not a fan of prog metal. I think it's overly violent and the use of graunting or swearing as never seemed to me anything useful but a weak commercial thing. Call me Ned Flanders I don't care, I think progressive rock is a more 'intelligent' kind of music and doesn't need to mold itself inside the fashion of the world. This been said, get that: this is not really metal nor progressive nor commercial but entirely tasty! Is Shadow Gallery really metal? I think it's basically good muscle rock, not heavier than Steve Vai or Joe Satriani. Tyranny gives you a lot of good solos a la Satriani, perpetuous double bass drum, arpegos of keyboards and hard rock vocals. And over that, the story is actually going somewhere. Oh goodie! Something else than knights and dragons, get this : world pandemia. Like the Spanish Flu in the 1920's, Tyranny is talking about small pox that could vaporize the entire nation. Talk about actuality considering the bird flu factor, growing slowly but surely. Musically, Tyranny is nothing short of intense and entertaining. Americans surely knows how to keep interest, and Shadow Gallery is keeping the pace fast and the performances full throttle. No songs seems to suffer from 'filler syndrome', but they seem to jump from another time zone. Indeed and unfortunetaly for some, Shadow Gallery seems to fuel more on the early 90's than today's production. The sound and compostions' textures could tend on the Images and Words side. Too bad, because if this would be remixed with an 'Octovarium attitude', we'd get one nasty son of gun. The fact that Shadow Gallery's main (and I mean it) influence is Dream Theater is okay, since they are both extremely talented musicians. On the other hand, why do they keep the same old 1993 sound? The best example should remain Octovarium, previously stated. Dream Theater is a good example of a band that's going with the flow, keeping the whole sound and production fresh and updated, even sometimes ahead of it's time. Despite the relatively old sound (vocal harmonies reminds Cinderella and Poison), this is a very, very enjoyable concept experience. Tyranny and Room V should be a part of anyone who dares to listen to prog metal, not only because of their cool stories, but also because of the choruses that drills right into your cortex and makes you want to sing out loud. Like I said, I'm not the one rooting for prog metal, but this one is varied enough to create it's own little universe. To make it more imaged, if Tyranny would be a movie, it would be Michael Bay's Armaggedon. In think you got the picture. 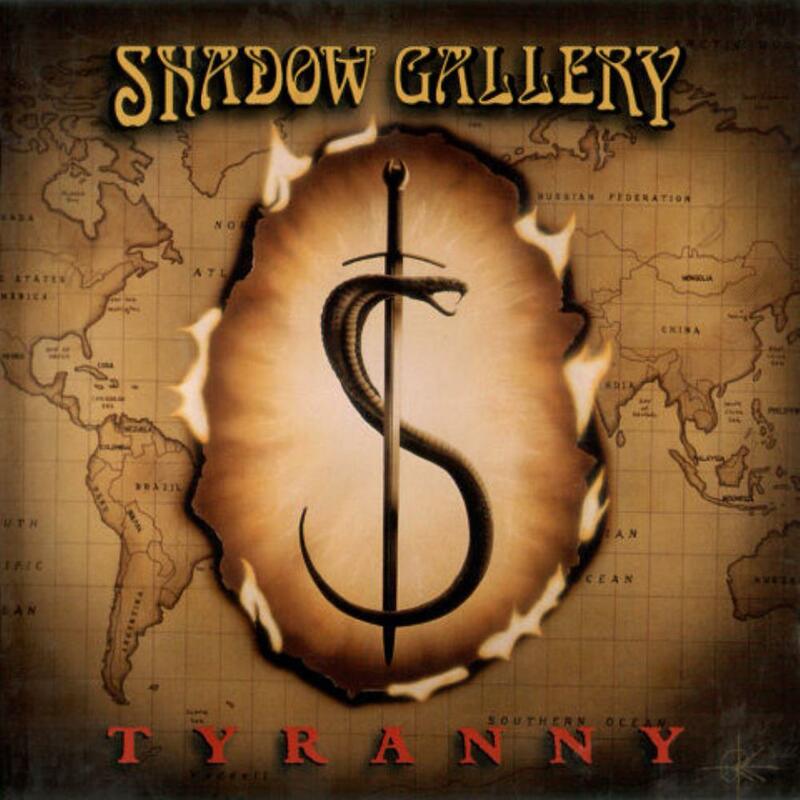 Shadow Gallery's Tyranny is the first album of a two album concept. Tyranny's concept surrounds the popular concept of government control. This album deals with how countries act both internationally and domestically. Tyranny's lyrical concept is one that listeners consistently understand better with each listen. The music is more than enough to match the power of this concept. Tyranny is one of the albums that best represents the general style of progressive metal. Shades of genre pioneers Dream Theater, Symphony X, and Fates Warning all pass. Shadow Gallery makes excellent use of two guitarist (a rarity for this genre style), poignant analog synth sounds, and rock solid drumming. The atmosphere of the album is somewhat bright considering the concept, but it gets slightly darker when necessary. Gary Wehrkamp is the prime composer, but also makes performances on guitars and keyboards. Wehrkamp is able to compose songs with excellent depth, all the instrumentalists play togethor as a band and rarely as individuals. The orchestration is placed perfectly when it appears. Brendt Allman is the shredder. Allman's technical licks and soaring melodies can be seen as the musical focal point of the album. Right from the beginning of the instrumental opener "Stilleto in the Sand" Allman's shred skills make a potent statement. Mike Baker's vocals are an important part of chemistry for the band. He is able to twist and shape the sound of his voice to fit the mold of characters and settings throughout the album. Baker's natrual vocal abilities is excellent. Baker has great range and a rock solid metal tone. Carl Cadden-James is a point of interest. Although his role as a bass player doesn't seem particularly technically demanding the groove that he supplys is crucial. The little things that a bass player like Cadden-James does like octave punches and solo comps are that little extra musical does of musical creativity that makes an album better than it should be. Chris Ingles is the perfect keyboard counterpart for Brendt Allman. Both of these guys can shred. Ingles' synth tones are poignant analog tones that give the listener a certain nostalgia while still keeping a modern vibe. The "New World Order" composition is one of the best keyboard tracks. The pianos, orchestration, and synth parts add so much character to the song. Joe Nevolo may be somewhat of an unsung hero in the band. Amongst shreding guitars and blazing synths with pianos and orchestration with melodic vocals the drums aren't given the attention they deserve. Nevolo is rock solid all throughout the album, but can take the spot light when he gets a chance. Nevolo's playing is much more focused on holding down the beat, but fills can easily catch a listener's attention. The production is excellent. It's clear and creative. The guitar tones are some of the most original sounding in the genre, and the keyboards are flawless. The bass is a real charm. The high end is nostalgic tone of the seventies, but it perfectly mixed. The vocals are definately the mixing highlight. Mike Baker's vocals are dynamic, clear, and enunciated. It's an excellent listen for any prog metal fan. So far, "Tyranny" has to be regarded, IMHO, as Shadow Gallery's top achievement, and I'm saying this without any intention of dismissing the previous or posterior albums they released - it's just that this concept-album brings the best of the band in terms of songwriting, performing skills and progressive moods in a prog metal vein, and so it comes to be a prog metal masterpiece for the 90s. SG doesn't hide its influences from the prog metal (Dream Theater, Royal Hunt, Queensrÿche), classic prog (Pink Floyd, Kansas, Yes) or arena rock departments (Queen, Boston), but "Tyranny" sure shows the band achieving their own voice among the usual cliche of current prog metal. In no small degree is the renewed rhythm section (with teh entry of drummer Joe Nevolo) partially responsible for the enhancement of SG's most archetypical strong points, but we mustn't overlook the magic created by all performers at unison all thorughout the various emotions and thoguths displayed in the repertoire. The album's concept revolves aroud the deceitful use of patriotism by the powers-that-be (policital and economical) in order to keep them on top of the world and owning the world's resources: an idea that was valid in the perspective of the then finished Gulf War and is still valid nowadays, unfortunately (and that's when the sequel "Room V" comes in, but that's a matter for another review). The songs' linkage follows the road of discovery, disappointment and rebellion of the main character, a guy who used to accept the major political lines without further reflection and now feels obliged to take a marginal role as a techno-anarchist. Well, the brief yet incendiary instrumental 'Stiletto in the Sand' pretty much conveys the belicist atmosphere of the theme's landscape, an atmosphere fluidly followed by 'War for Sale', the fisrt sung track. The next two songs era not as intrepid in terms of tempo and heavyness, but they build a proper melodic approach to the main character's increasing skepticism. In the beuatiful ballad 'Hope for Us?' we find skepticism replaced by melancholy in a most majestic manner: the lead vocal lines, choral arrangements, piano phrases, orchestrations, the guitar adornments, all of them are impressively used for the song's mood. While slightly louder, 'Victims' continues with the preceding song's reflective spirit, which leads to the brief ballad 'Broken'. For the second part of the album things begin to get more sophisticated in a progressive point of view: the well-ordained epics 'I Believe' and 'Roads of Thunder' plus the dramatic epic 'New World Order' (special mention for guest D. C. Cooper) comprise some of the musical highlights in the album, full of complexity, electrifying stamina and solid energy. Among all this bombast, the ballad 'Spoken Words' brings an oasis of emotionally charged romanticism. In a very concept-album fashion, the frantic instrumental 'Chased' erupts after the final menace of 'New World Order' as an effective bridge toward the sequence of the last two songs. 'Ghost of a Chance' brings a serene reflection about the preservation of hope, having an interesting ballsy rockier climax; finally, 'Christmas Day' portrays a sense of loneliness and disillusion, with the piano assuming a leading role and the flute bringing subtle textures. A beautiful end for an excellent grand opus - this is SG at their very best. What we have here is prog metal of the highest calibre, i don't know why so many consider this album a mediocre one. So far, "Tyranny" has to be regarded, as Shadow Gallery's top achievement, and I'm saying this without any intention of dismissing the previous or posterior albums they released - it's just that this concept-album brings the best of the band in terms of songwriting, performing skills and progressive moods in a prog metal vein, and so it comes to be a prog metal masterpiece for the 90s, and for sure one of the best in prog metal. I will not take each song to review but, i will note the best ones: the opening track Stiletto In The Sand, great opener, instant you know that this is not an every day album, War For Sale, Out Of Nowhere , Mystery and New world order. Must add that here is some well known guests as James LaBrie and D.C. Cooper ( ex. Royal Hunt voc, and Silent Force, now on Amaran's Plight). The production is excellent. It's clear and creative. The guitar tones are some of the most original sounding in the genre, and the keyboards are flawless. The bass is a real good. The vocals are definately the mixing highlight. Mike Baker's vocals are dynamic, clear, and enunciated. 5 stars, highly recommended. Shadow´s allery thrid release put them in the prog metal´s first league. And rightly so, for this is a major work and is very well done. The first track may give a wrong idea about their sound, though. Stilleto In The Sand is a short instrumental that suggests a prog metal sound in the vein of Dream Theater, but clearly the band has its very own music, like it or not. Mike Baker´s voice for instance is surely not what you expect from a heavy metal outfit he is much a classic rock or prog rock type of singer. The band has many influences and has seemed to drawn the best of them, specially prog rock acts like classic Kansas. The best thing about them is the fact that although every member is quite skillful and competent (specially guitarrist Gary Wehrkamp), they are more worried in creating a good overall sound instead of using the CD as an excuse for endeless noodling and pointless displays of virtuosity. Shadow Gallery has some very good singwriters and bassist Carl Cadden-James know how to come out with some insightful lyrics. Vocal arrangements are also excellent, with backings done where they should appear, no more no less.. Production could a little bit better nowadays, but I guess that´s the best they could get at the time. Tyranny is a concept album divided in two acts (the second part being the most pure progressive). It is a bold efford, melodic and very well arranged, with every member contribuiting for the best possible results. It is obvisouly a group work, done with inspiration and conviction. A pleasure to hear from beginning to end. Highlights for me are the keyboards sounds (very old fashioned prog sound of the 70´s), the guitar solos (melodic and fluid) and the vocal lines (original, expressive and totally in league with the elaborated instrumental parts). Metalheads will probably complain that Tyranny is obviously more prog than metal, but that´s really a compliment for me. 4,5 stars. Highly recommended! This is a concept album that is unique, in that it is... "To be continued". And it takes another 7 years before the subject of this story is picked back up on "Room V". These two albums are coincedently my 2 favourite SHADOW GALLERY records. Some guests on this one including James LaBrie from DREAM THEATER and DC Cooper from numerous bands including ROYAL HUNT, both guys contribute on vocals of course. By the way the production is flawless. "Act 1" begins with "Stiletto In The Sand" a heavy duty introduction to our story, with pounding drums and bass as guitar and synths add to the sound. They have my attention. "War For Sale" features more of the same with some blistering guitar. Vocals are heard for the first time in this heavy soundscape. The synth work 4 minutes in is good and is followed by some ripping guitar. "Out Of Nowhere" is a mid paced tune with some heaviness that comes and goes. Check out the guitar before 3 minutes. I like the vocals too. Excellent song. "Mystery" has a good rhythm in the intro that comes and goes throughout. It becomes uptempo with more great vocals. A blazing guitar solo after 4 minutes is followed by some good drumming. "Hope For Us ?" is ballad-like with piano and vocal harmonies. It's ok. "Victims" is more to my liking. It opens with piano and synths that are replaced by a heavy sound with vocals. A great melody of scorching guitar and piano follows. The song ends with a drum, guitar and bass melody that is even better. "Broken" is mellow with piano, synths and vocals. "Act II" opens with "I Believe" and the intro is quite dramatic with vocal melodies. It calms down 1 1/2 minutes in with piano. A nice heavy sound 3 minutes in with passionate vocals to follow. A QUEEN-like section after 4 1/2 minutes as both the guitar and harmonies bring that band to mind. The guitar to follow is outstanding. "Roads Of Thunder" has an awesome intro with some great bass and blistering guitar before the vocals arrive. "Spoken Words" is mellow with guest female vocals from Laura Jaeger who would return on "Room V". "New World Order" opens with the feeling that something evil is present. Nice affect. Theatrical vocals come in. Some excellent drum and synth work 5 1/2 minutes in. The final 2 minutes are so well done. "Chased" is uptempo with pounding drums with synths before some blistering guitar joins in. "Ghost Of A Chance" is another ballad-like tune to begin with. 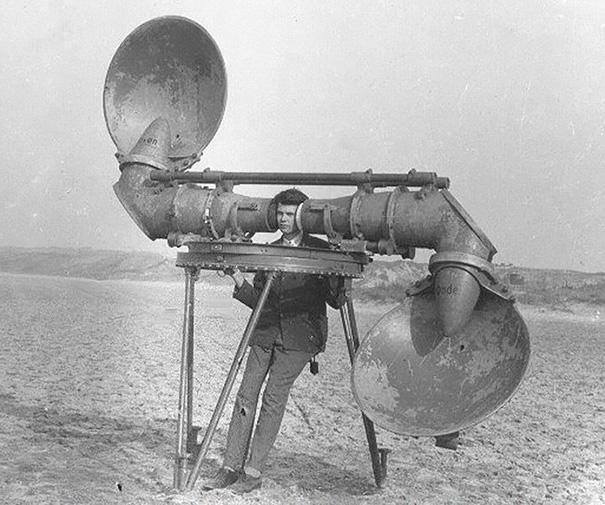 It builds to a full sound 3 1/2 minutes in. "Christmas Day" isn't that far off is it. This one is fairly mellow until the ear splitting guitar solo comes in. Nice. It calms right back down though. I'm not big on all of the mellow tracks but there's enough here for a low 4 stars. You can really hear where "Room V" was born out of when you listen to this one. I feel they have improved upon this one in several ways with "Room V", but I can recommend both of these records as top notch Prog-Metal. Now this is when the band really starts to shine ! It's already becoming evident with the first song that Tyranny is a total different ball game than the two predecessors. What a dynamic and energetic start of an album ! Followed by War for Sale, another energetic and up tempo cracker. This is the Shadow Gallery I fell in love with, really living up to my taste totally. Third track is my very favourite of this strong album. Out of Nowhere is one of the best below 5 minute songs I know (along with Another Day by DT and Stay Down by Royal Hunt). Terrific composition scoring in all departments, vocals as well as instrumentals and of course compositionwise, melody and energy. Mystery is also great, almost as good as Out of Nowhere, goodness me what a start of an album. But if I recall well (I don't play this album that often anymore) we have had the stronger part by now (Act 1 is far better than Act 2 in my opinion). Hope for Us? is more balld like, gorgeous song and this is good for the balance of a mature album like this. Victims is the lesser song of Act 1 to me, still good and a short ballad like finale to round it off. Act 1 is altogether worthy of 4,5 stars to me. Act 2 starts with half an epic, Believe, and it strikes me that this is already somewhat less than most of Act 1, it's a good song but it's mainly the energetic aspect that is falling short here, a nice instrumental part after some 6 minutes is the highlight here. Roads of Thunder is one of those wonderful vocal tracks by SG, a very wise decision to use your strong point really often. Shadow Gallery is one of the few prog bands I know with stand out vocals. Spoken Words is a ballad that could easily have been on Room V where the quality and style is concerned, probably also caused by the contribution of Laura Jaeger. These ballads are a caress for the ear. New World Order is the second epical track, a grave somewhat slow song without a great highlight. After so much vocal dominance high time for an instrumental and there we are: Chased is a speedy piece keeping up the attention for the album. Because although it's high quality stuff, it's almost 5 quarters of an hour of music so that's pretty long and it's a real challenge to keep the thing interesting. I think Shadow Gallery succeeded really well here. Ghost of a chance is another quiet one before Christmas Day closes the album in fine style. Like I said, Act 2 is not as great as no 1 so I think it deserves some 3,5-3,75 stars altogether. Leaving the whole album with an average of a good 4 stars. Great achievement by Shadow Gallery with this first truly mature album. This is the first part in the two-album concept, linking Tyranny to the slightly stronger Room V.
On the whole, this album is a pretty average progressive metal album. The guitar solos are all really fast, the drums pound away like they're supposed to, a keyboardist lends his Dream Theater-esque noodling to a lot of the instrumental sections, and the bass is pretty hard to find. The only thing that separates a band like Shadow Gallery from one of their peer metal groups is their lead singer, who has a much more timeless (read: less hair metal sort) voice, though his singing does often become reminiscent of Alice Cooper. However, in all, his voice is not as strong as it needs to be to tie together the music on this album. The lyrics deal with, well, tyranny and oppressive government or something. And while the energy levels are high throughout this release, the actual creativity and uniqueness of the band does not really show up very well in Tyranny. The album opens with a traditional Shadow Gallery instrumental, Stiletto in the Sand. By traditional, I am implying that it's fast-paced, exciting, technically difficult, and mostly aimless. War for Sale is a nice opening song, with a good chorus but a weak instrumental midsection. I Believe has some interesting singing and some cheesy lyrics, with a brief cameo by Dream Theater's James LaBrie for a few lines. Overall, it's one of the stronger tracks on this release. Coming on the tails of that is Roads of Thunder, a sometimes blistering metal piece with some fast guitars and one of their stronger guitar solos. New World Order is a nice and creepy sort of Big Brother tune, with some cool condescension from the oppressive leadership. This segues into Chased, the best instrumental on the album. It is built mostly on the guitar, with a lot of shredding and arpeggios that somehow doesn't sound like Yngwie Malmsteen but like something melodic and high energy. The last two songs wrap up the album, then, in acceptable fashion. Not a bad release, really, just unremarkable. Fans of melodic progressive metal should enjoy Shadow Gallery, though I'd recommend starting with Room V instead. Fans of lighter stuff might find enjoyable music here, though it is less likely. While not as wide-ranging and varied as the masterpiece that was Carved In Stone, Tyranny is indeed another great Shadow Gallery album. They seem to have matured a bit, but this maturity is something of a double-edged sword in this case. On the one-hand the end product is very professional and polished, but on the other hand they have also streamlined their sound somewhat and evened out some of the dramatic twists and turns that made Carved In Stone such an exhilarating musical journey. Don't get me wrong though, Tyranny is a very solid album. The material is powerful and melodic. The album is conceptual and split into two "acts". The first act is the best one and runs very smoothly. The lead vocals again remind of Geoff Tate of Queensryche but the musical influences are more towards Queen, Kansas and Dream Theater (especially Images And Words). The harmony vocals are gorgeous and blend very well with the riffs and solos. 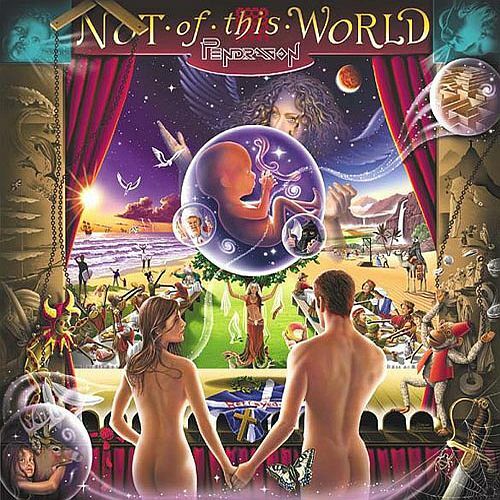 James LaBrie from Dream Theater makes a brief guest appearance towards the end of the album and there are some other guests as well including some female vocals that were a bit misplaced for me. Overall, I think that the album loses steam towards the end and it could have been shortened somewhat for a stronger impact. Still, this is a highly enjoyable album. Shadow Gallery's first concept album presents a near future techno-thriller plot and a musical style that is best described as a mingling of the complexity and virtuosity of Dream Theater with the ballsy grit of classic Queensryche. It's an entertaining listen which will please most fans of those giants of prog metal but doesn't really expand the bounds of the genre much; on top of that, it begins to lose steam towards the end, with songs such as Spoken Words and New World Order getting downright repetitive and in dire need of a bit of editing. Still, if you want a cheesy conspiracy thriller concept album I'm sure there are worse choices. This is my first taste of Shadow Gallery's highly rated discography. Tyranny fits right in alongside the prog- metal stylings of the late '90's era; however, it does not strike me being anywhere near as close to the masterpiece it's currently scored at. It's not bad, in fact, the album's vibe, instrumental performances, and varied songs are artistically executed. The songwriting is highly competent and involved, but the result doesn't strike me as strongly as many other prog-metal groups out there. It's good, but not great or even that memorable. Overall the band plays well. They're very tight and the production is crisp. Soloing is fair, regrettably not standing out among the various interweaving riffing and synthesizer textures. For a band that plays as fast and with as much complexity as Shadow Gallery, there aren't moments that make your hair stand up with excitement. This is probably my biggest issue with the album; the songs aren't memorable, and the instrumentalists rarely grab my attention, even though I can tell they're talented. Maybe this is a failing of the songwriting? Compare this to Metropolis II: Scenes From a Memory, which was released only a year later, and Tyranny's complexity and moments of frenzied riffing seem even more underwhelming. Again, they aren't bad, just sort of bland. Let's talk for a minute about vocals. Baker gets credited as lead vocalist, and he's passable at best. His high-pitched vocals are typical of the era, in fact, they even have a strong '80's feel. His range is poor, phrasing tedious, but inflection strong and there's actually some emotion behind his singing. I don't care for his voice, but that's totally subjective; he's not for me. What's definitely not for me is this album's awful lyrics. Yes, I said awful. They're overly direct, unevocative, without rhyme, devoid of memorable choruses, trite, and pretentious. And there's so, so many of them. There's simply way too much singing on this album, and because all of the lead duties are handled by Baker... that's a problem. Some reviewers have commented about how Tyranny is thematically similar to Queensryche's Operation Mindcrime, which is totally understandable. The themes about technology and the internet feel very anachronistic and campy at this point, which is fine; what do not, are the songs about the second coming of Christ. Those lyrics just fall flat, but then again I'm bias in that regard. Again, not enough here to make me want to listen again. One thing that Tyranny does have going for it is its variety. The first half is mostly fast-paced rocking that may appeal to more straight-ahead metal fans. Throughout we're given transitional songs that play like lush power ballads, pulling at the narrative's emotional heartstrings. The second half experiments more, with songs like "New World Order" and the exciting instrumental "Chased" standing out as highlights. In the end though I suffered from fatigue after the album's bloated 73 minute running time. I didn't hate Tyranny, not by a long shot, I just didn't care about what it was accomplishing. To me, that says that it's one for prog-metal diehards or fans of the group (probably one and the same). 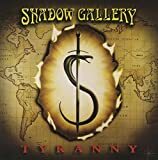 Post a review of SHADOW GALLERY "Tyranny"